Another mom who swaps her son’s favorite foods for healthier options that match the preferred texture asked for tricks to add nutritional content to foods. Their concern is valid. Children on the spectrum tend to have lower vitamin and mineral levels compared to their neurotypical peers. Some research suggests that low nutrient levels can impact autism symptoms. Parents get frustrated when doctors suggest they just feed their kid more vegetables. That’s not how autism picky eating works and parents know that! 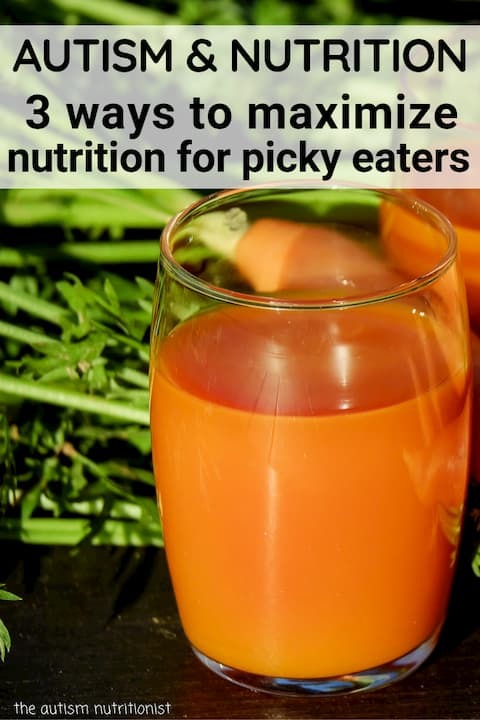 While I wholeheartedly recommend working to expand your child’s diet so he can eventually eat more foods (see some of my favorite ways here, here, and here), there are some ways to help your picky one eat a more nutritious diet in the meantime. Fiber intake is low in most autism kids’ diets. And constipation is a struggle for a lot of autistic kids. Is it some kind of belly issue or the result of a diet heavy in carbs and processed foods, but low in fiber? It’s a chicken or the egg situation, but the good news is that fiber is easy to add into many purees and baked goods. If you’re parent to a texture-averse picky eater who is partial to white foods, first, you’re not alone. Second, you’ve probably noticed vegetable intake is next to none. Try vitamin D drops. They’re easy to add to almost anything. Alison, a mom I’m working with who has a 4-year-old boy on the spectrum, adds vitamin D drops to peanut butter and grilled cheese sandwiches. Her son, Parker, likes to cook so he actually helps her makes the sandwiches and likes to add the drops. Autistic children tend to have lower nutrient levels than kids without autism. Because many kids with autism struggle with taking nutritional supplements, parents try to add nutrition to the foods they currently eat. 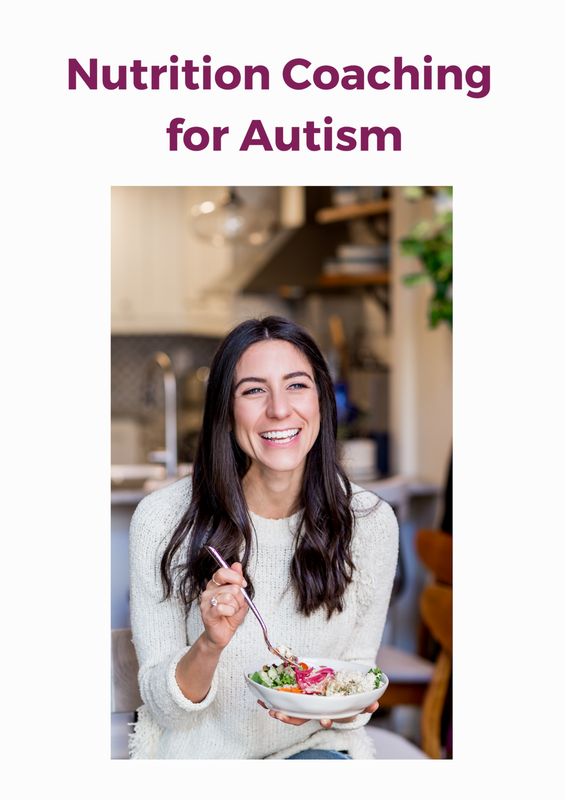 Fiber, vegetables, and vitamin D are easy nutrients and foods to begin incorporating in your autism child’s meal plan. Select one tip from above and give it a try this week. If your child is very sensitive to changes in his or her food, start very slowly - just an addition the size of a grain of rice at first! My autism nutrition program is perfectly designed for picky kids who have trouble trying new foods. Sign up for a FREE introductory call to get the support you need to expand your child’s diet.